The following pictures where sent to The Aviationist by Endre Lunde, who is the Communications Advisor for the F-35 Program Office at the Norwegian Ministry of Defence. 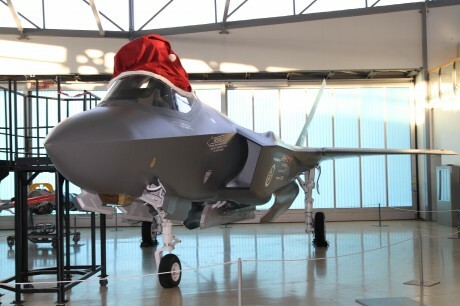 They show a full-scale mock-up of the F-35 in Norwegian markings, currently at the Armed Forces Aircraft Collection at Gardermoen “equipped” with a huge santa hat that is a full 4.6 meters in diameter. The hat was made for a F-86K that is on display outside the museum. As Lunde explained us, on Christmas eve, 55 years ago this year, in 1957, the then young pilot Oddvard Johnsen was scrambled in that very aircraft from what was then Gardermoen military air station. On his way back he got caught in icing fog, and only managed to get back on the ground with a minimum of fuel left thanks to a skilled aircraft controller on the ground. 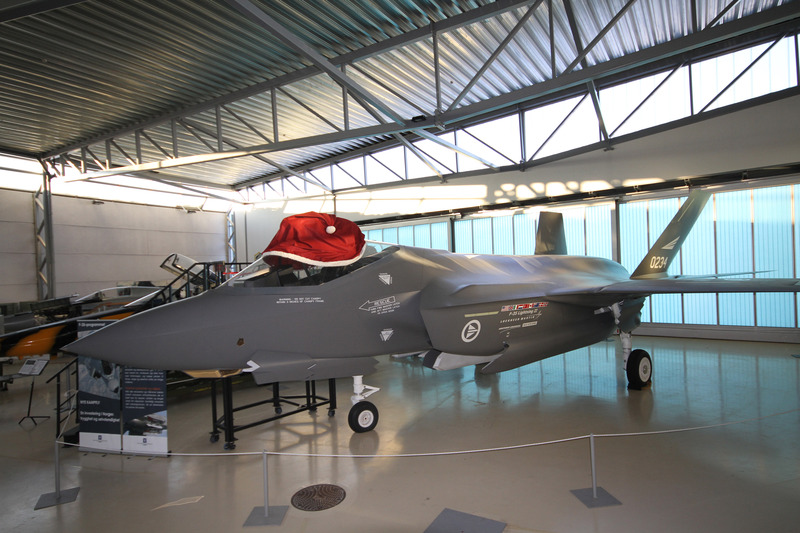 Now 55 years later, he and the local chapter of the Rotary club have donated the hat to the Aircraft Collection at Gardermoen to mark the anniversary of the event, and they also wanted to highlight the “future”, in the shape of the F-35. 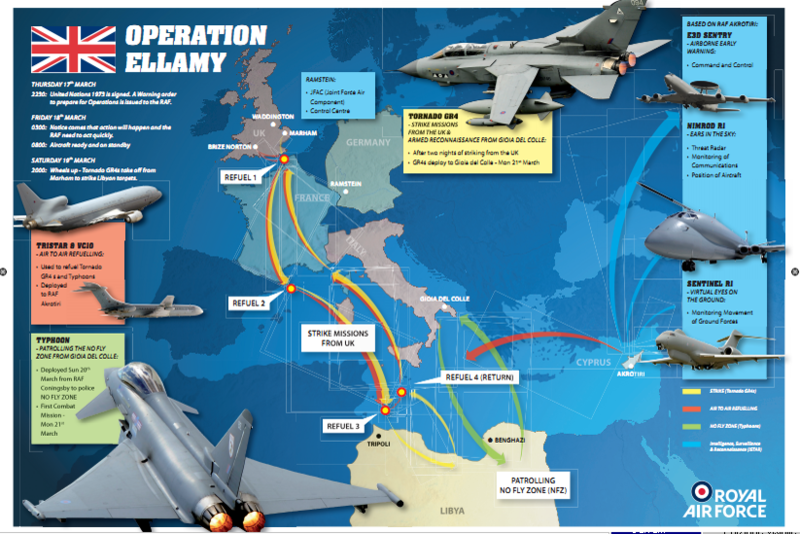 At least, unlike Canada, Norway is certain that the F-35 is the future of its air force. 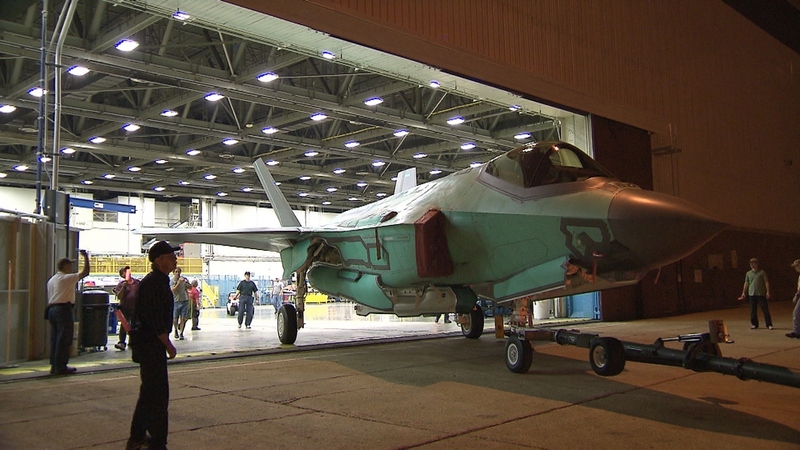 Canada about to cancel F-35 purchase. Leading to a “death spiral” of order cuts?